Founding attorney Glenn K. Weichert has been practicing law for nearly 50 years. Mr. Weichert currently holds an AV rating, the highest rating in legal ability and ethical standards given by Martindale Hubbell Peer Review. 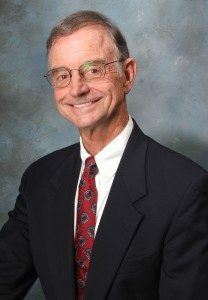 Prior to establishing The Weichert Law Firm in 1995, he practiced law as a Lieutenant in the U.S. Navy, JAG Corps, a Senior Assistant City Attorney for the City of Austin, a shareholder in the law firm of Minter, Joseph and Thornhill, and as a partner in the law firm of Dunagan Weichert. He is married to Linda McAnally Weichert, a licensed interior designer and a Dripping Springs boutique owner, and has two children. Mr. Weichert is an avid cyclist who practices yoga regularly. As of now, Mr. Weichert primarily focuses his professional attention on real estate transactions, land development, and the creation of homeowners associations and condominium regimes. He and the firm represent property developers, property owners, builders, homeowners, and condominium owners associations. Mr. Weichert currently serves as a director on the boards of numerous non-profit associations. He served as a director of the Austin Chapter of the Community Associations Institute (CAI) for six years and remains active in CAI. Glenn K. Weichert of The Weichert Law Firm serves Austin, Bee Cave, and Lakeway clients in a range of real estate law and business law matters. Contact our office at (512) 263-2666 to schedule an initial consultation with an experienced Texas lawyer.